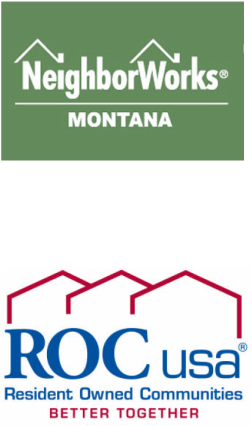 Who are NeighborWorks Montana and ROC USA? NeighborWorks® Montana strives to preserve sustainable home-ownership opportunities for low- and moderate-income Montana families, to be a dependable developer of housing options and to deliver home-ownership services to rural areas. NWMT works with local service partners throughout the state to provide home-buyer education, home-ownership planning, foreclosure prevention, one-to-one housing counseling, loans for down payment and closing costs, due-on-sale loans for “gap financing” and development of new owner-occupied homes. For more information, visit www.nwmt.org.